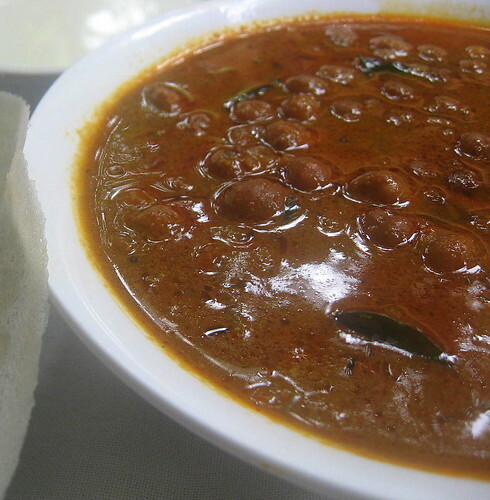 Appam and Kadala Curry-The Beauty and the Beast! Aappam for Tamilians, appa or hopper for the Srilankans; Palappam or in short, 'Appam' is regarded as the ‘Queen of Kerala Breakfast Dishes’, a traditional fermented flat ‘Rice n Coconut bread’. 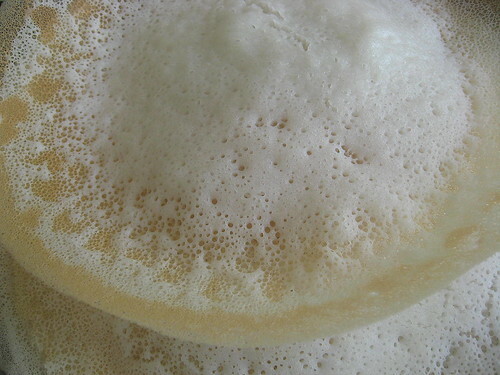 These Soft centered lacy pancakes are said to be adapted from the Jews who migrated to Kerala and thus became a popular dish among the Syrian Christians of the state. Times have changed and Appam has become an identity of all Keralites. Here you find the basic recipe for Kerala Palappam; my mom made while we were holidaying in Kottayam, last summer J (I’ll post the Tamil version which I make often, later;)). Thin coconut milk- as needed; to dilute the batter if needed just before making them. 1. 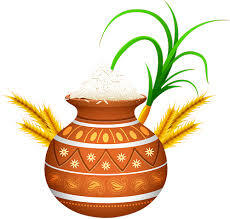 Soak Raw rice for 4-5 hours.Drain.Grind it to a smooth batter with grated coconut and cooked rice. 2. Dissolve yeast in a cup coconut water or just luke warm water.Keep it aside for half an hour till frothy.Add this to the above ground batter.Add sugar and salt as well. 3. 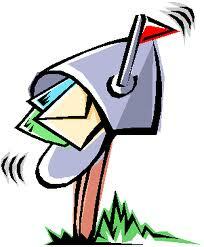 Let the batter ferment for 8 hours (in India) or according to the temperature of your zone. 4. Heat a non stick appa kadai.Pour a ladle full of batter and quickly but gently swirl the pan around such that a thinner layer of batter covers the sides and a thicker faltter layer settles in the middle. Cover with the lid and cook in mild heat for 2-3 minutes, until the edges are golden and lacy and the centre; soft and cooked. 5. The edges lift while done and the middle part shouldn't stick to your water dipped fingers, while touched gently(this is how you test whether its righlty cooked). 6. 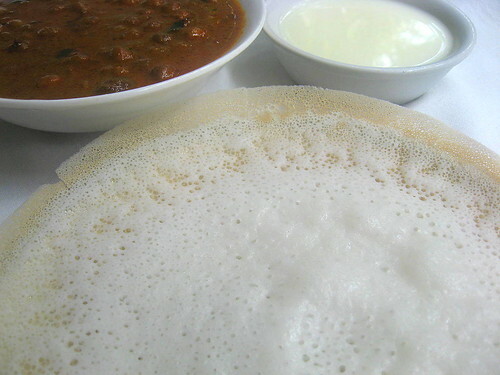 Do not turn over the appam. 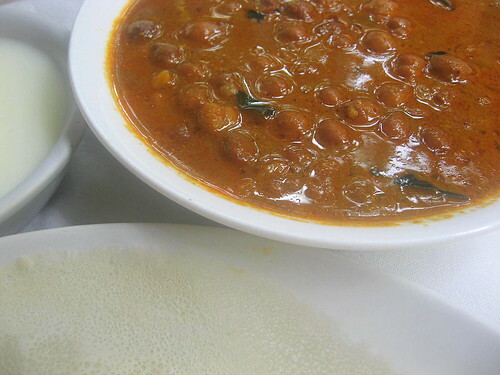 Remove the appams from the pan with care and transfer one by one on a flat tray before serving. Note- The batter should be of dropping consistency.If not dilute it with thin coconut milk. 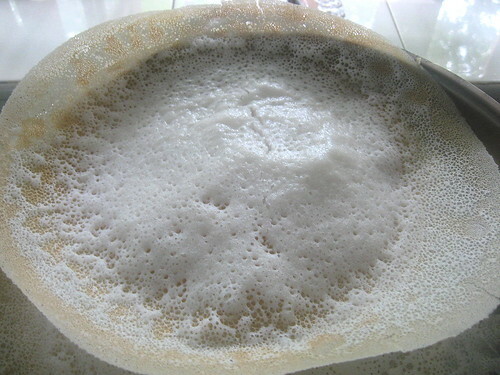 If you find the appams 'sticky' it means you have added more of it.So be a little careful with the batter. 1. Soak channa over night and pressure cook till soft with salt. 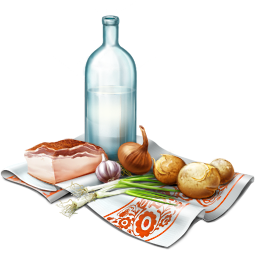 Drain and reserve the water in which cooked. 2. In the meanwhile heat a thick bottomed kadai with 2 tsps of oil and roast coriander seeds for 5-7 mins in medium flame followed by the red chillies, garlic, coconut,turmeric powder and the curry leaves until the roasted aroma spreads around.Throw in the shallots and fry for a minute or two.Cool and grind to smooth paste adding enough water. 3. 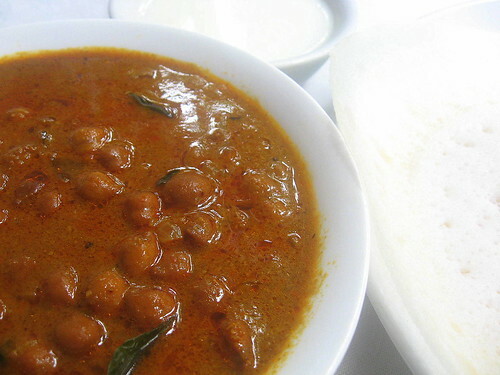 Pour the paste over the cooked channa in the pressure cooker, bring to a boil and simmer until raw smell of the spices disappear, adding enough salt. 4. Season the curry. Heat oil in a pan, splutter mustard seeds, curry leaves and brown the coconut pieces. Pour this to the curry.